Two-time Breeders' Cup Champ and reigning Eclipse Award Sprinter Roy H heads a field of six older horses as he defends his title in Saturday's Grade II, $200,000 Palos Verdes Stakes going six furlongs. 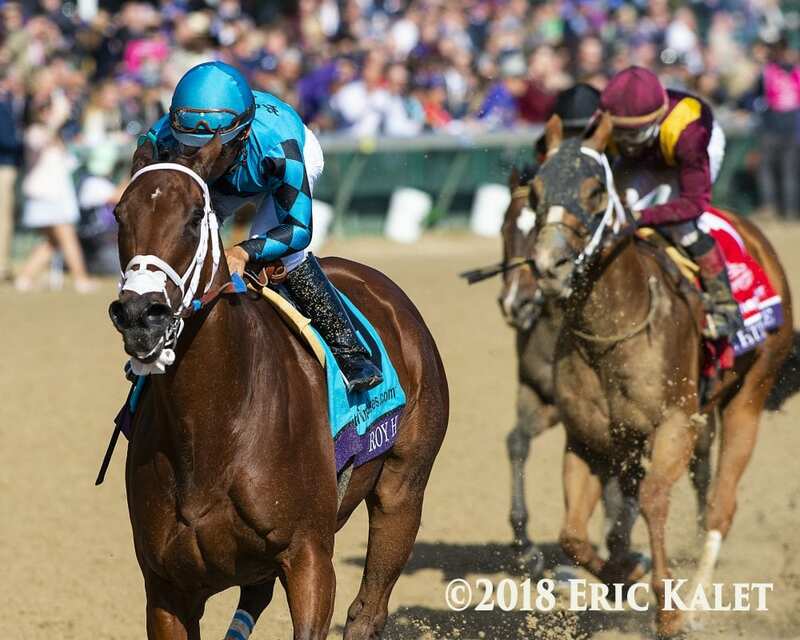 Trained by Peter Miller and owned by Rockingham Ranch and David Bernsen, Roy H has been idle since taking his second consecutive Breeders' Cup Sprint on Nov. 3 at Churchill Downs. A 7-year-old gelding by More Than Ready, Roy H was arguably the most impressive winner on Breeders' Cup Classic Day, as he won by 3 ¼ lengths while posting a lofty 111 Beyer Speed figure—matching his career best figure achieved in winning the 2017 Sprint at Del Mar. A winner of last year's Palos Verdes, he's bidding for his third consecutive win under Florida-based Paco Lopez. West Point Thoroughbreds' Kanthaka, who was likely in need of his most recent start, a ninth place finish behind highly regarded McKinzie in the Grade I Malibu Stakes here Dec. 26, appears to be the likely second choice in what will be the 66thrunning of the prestigious Palos Verdes. A win machine by any accounting, Roy H has four wins and a second place finish from six starts at The Great Race Place, with his most recent local win a facile 2 ¾ length score in the Grade I Santa Anita Sprint Championship two starts back on Oct. 6. With “bigger fish to fry” in the months ahead, the Palos Verdes is likely a tune up for Roy H, who now has an overall mark of 22-9-5-2 and earnings of $3,019,765. Third to McKinzie four starts back in the Grade II San Felipe Stakes here on March 10, this 4-year-old colt by Jimmy Creed was subsequently well beaten in the Grade II Blue Grass Stakes at Keeneland April 7. Subsequent to that, he cut back in distance to seven furlongs and rallied to take the Grade III Lazaro Barrera Stakes at Santa Anita May 12 and was then idle prior to finishing six lengths behind McKinzie in the seven furlong Malibu Dec. 26. With a recent race to his credit, Kanthaka, who will be handled by leading man Flavien Prat, should be set to bring his best in the Palos Verdes. This venerable 7-year-old Florida-bred gelding will be making his 35th career start and has to be accorded a puncher's chance. Fresh off a gutty head victory in a five furlong classified allowance at Los Alamitos Dec. 14, he was haltered by Sadler for $62,500 on May 28 and has been a gem of consistency in five subsequent starts. With wet weather forecast through Thursday, St. Joe Bay would appreciate any sort of off track, as he posted a 1 ¾ length win in the Grade III Midnight Lute Stakes here over a sloppy surface in December, 2016. Look for him to press the early issue on Saturday as he shoots for his fourth win in 13 local tries. With an overall mark of 34-6-7-6, he has earnings of $610,515. Special early first post time for a 10-race card on Saturday is at 12 noon. This entry was posted in Racing and tagged palos verdes stakes, Peter Miller, rockingham ranch, roy h, santa anita park by Press Release. Bookmark the permalink.